Celebrity Chef – A Hand Up, Not A Hand Out! Our 11th Annual Celebrity Chef Dinner is right around the corner and bound to be a dynamic night! Mark your calendars for Saturday, February 2nd, 2019 at the HCC Trinkle Center. This time we have a new twist to our celebrities, they are LOCAL! 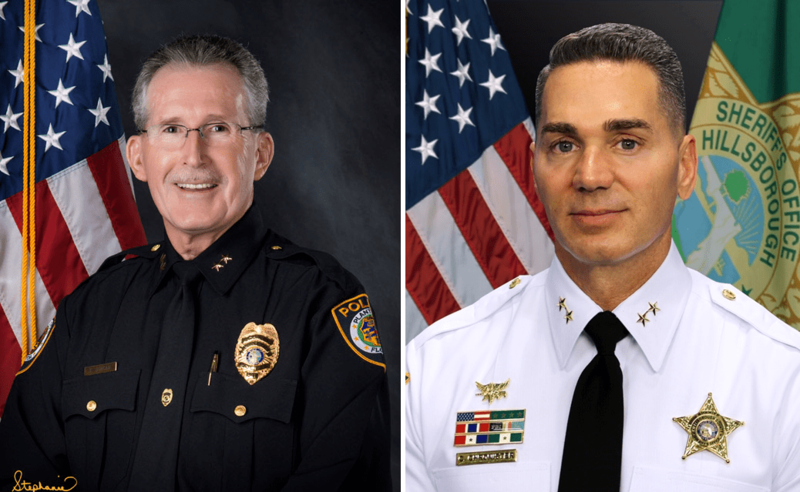 We are pleased to announce our LOCAL celebrity chefs are Hillsborough County Sheriff Chad Chronister and Plant City Chief of Police Ed Duncan. They will showcase their own different levels and comforts of cooking, all in good fun as we raise money to help hunger needs in our community. Questions, contact Leigh Scott lscott@ufbpc.org or call 813.764.0625. If you would to try the Celebrity Chef Recipe, Click Here!